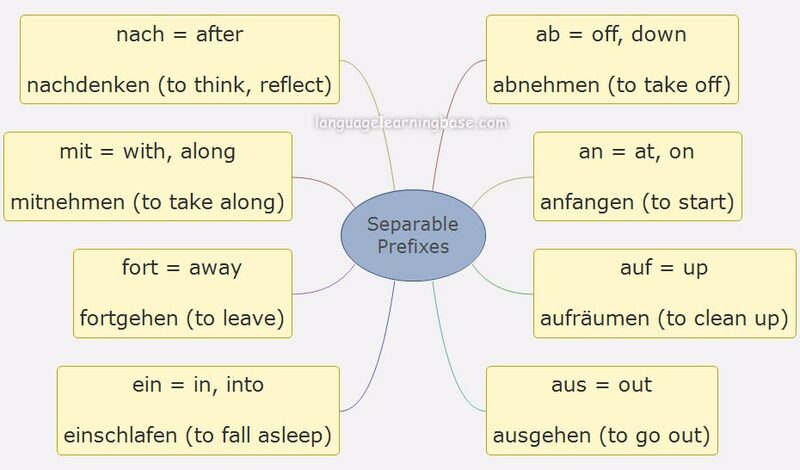 Separable prefix verbs are verbs that add a prefix to the front of the verb which changes its meaning. For example, the verb kommen (pronounced KOHM-mehn) means 'to come'. However, when we add the prefix mitto it, giving us mitkommen (pronounced MIHT-kohm-mehn), it now means to 'come with'. 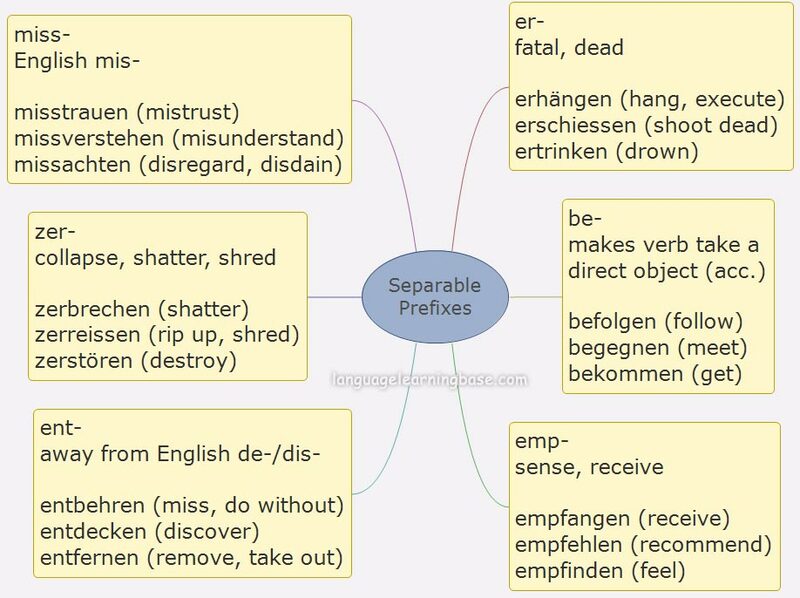 Like their counterparts, inseparable verbs have a recognizable prefix in front of the verb that must remain fixed, meaning you don't take them apart; they always remain with their verb.